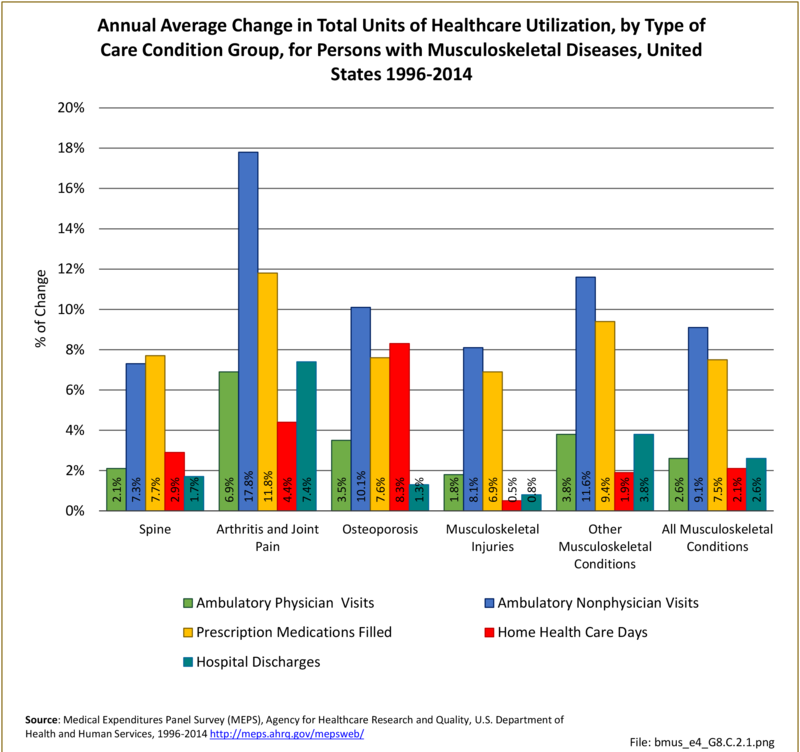 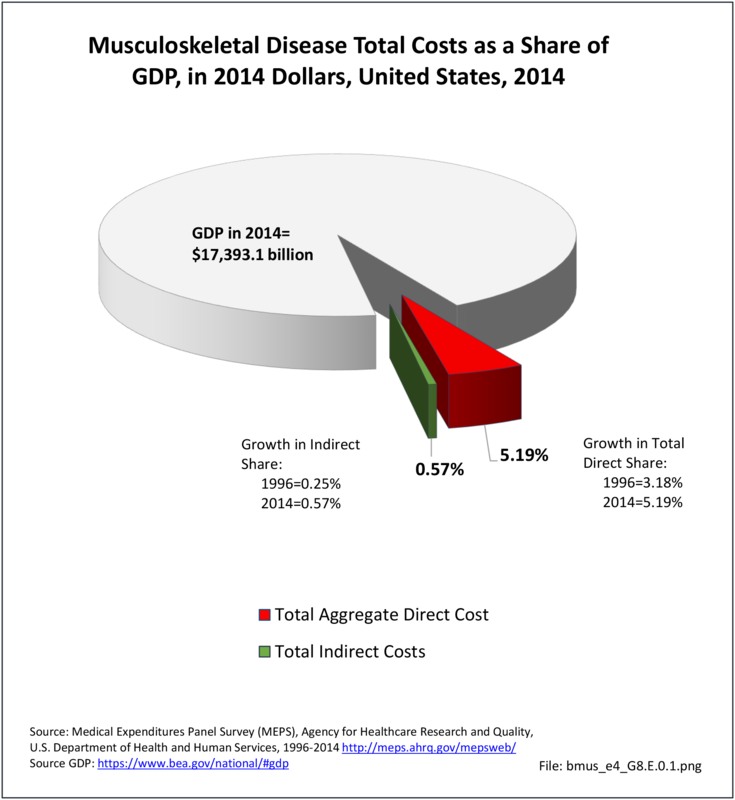 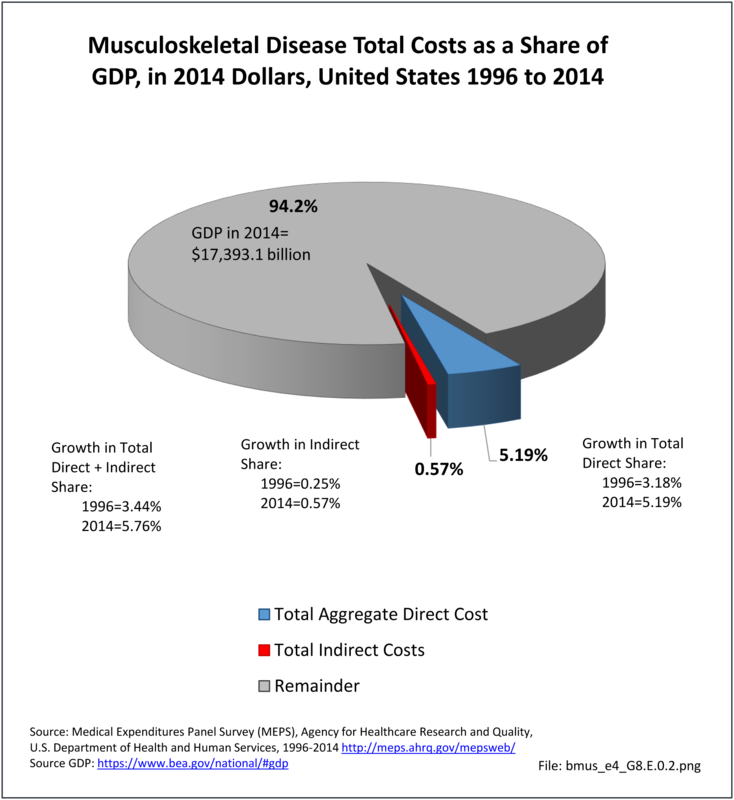 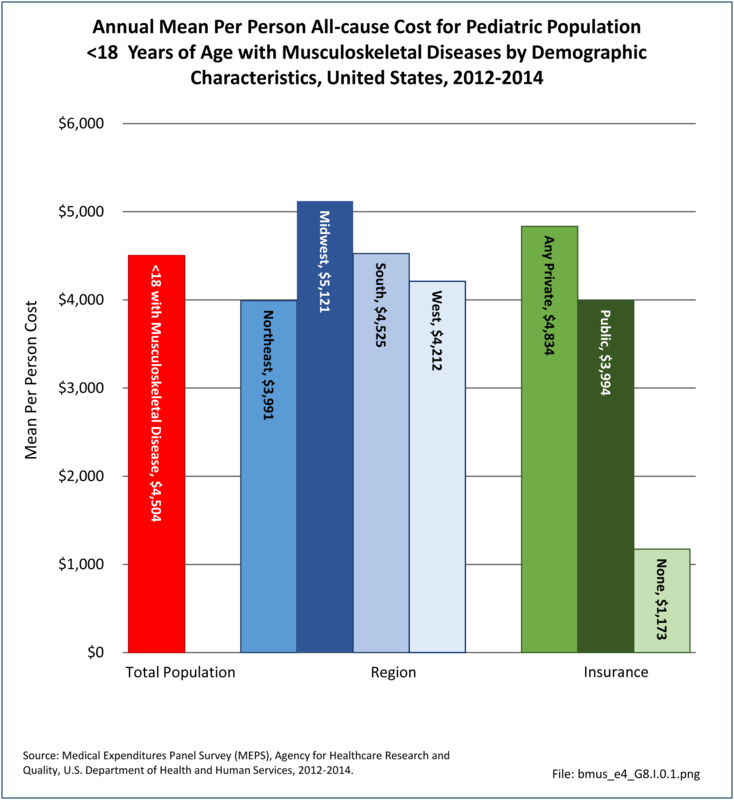 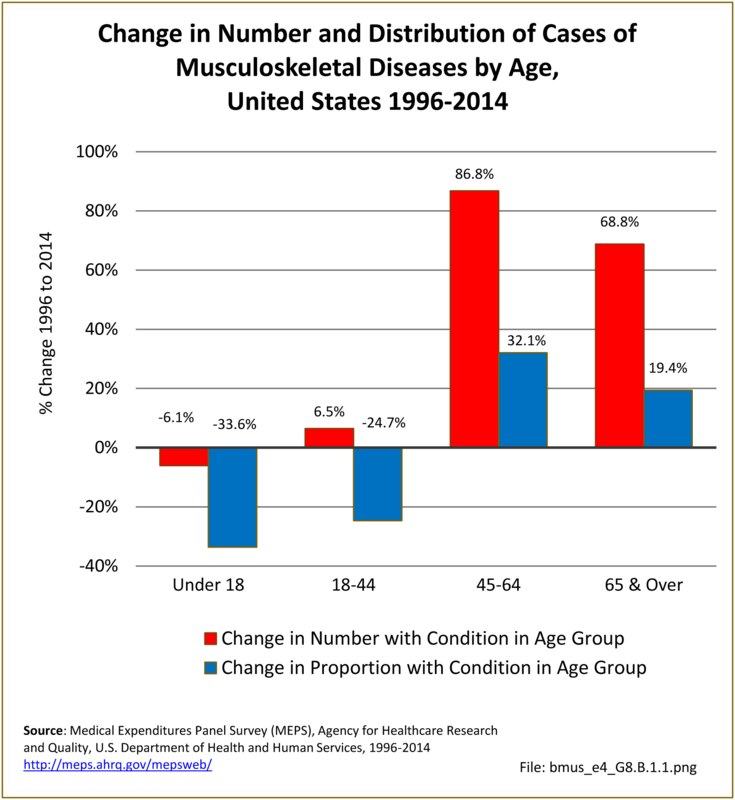 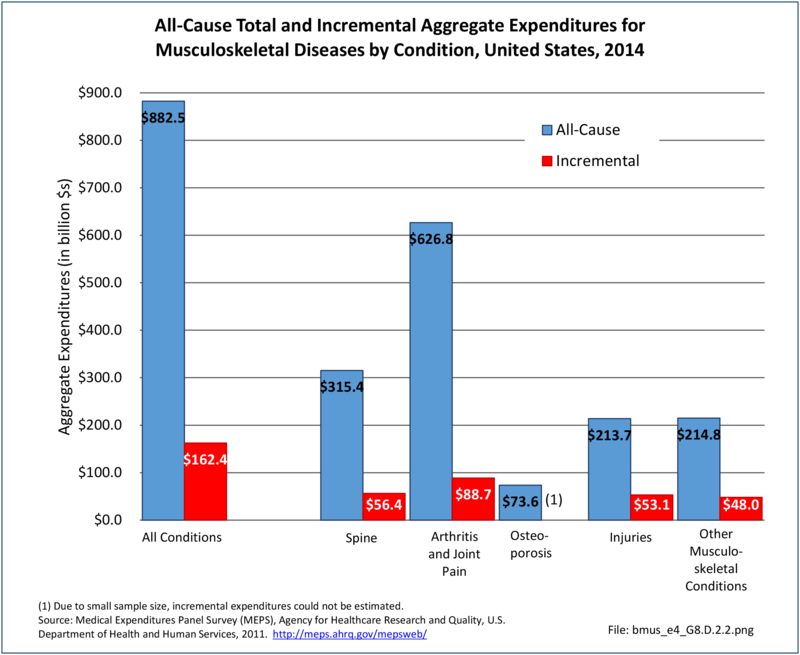 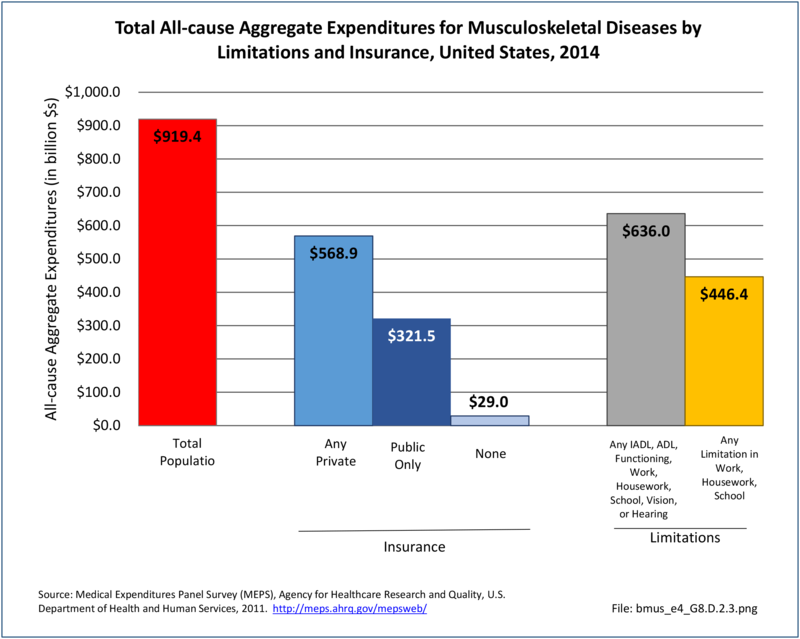 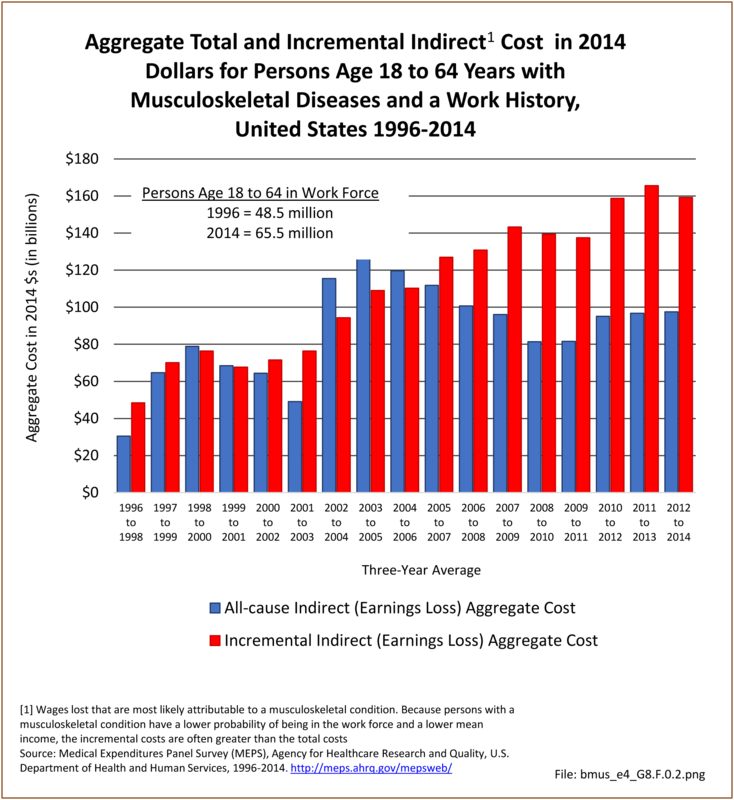 Healthcare utilization by musculoskeletal conditions shows some variation from total musculoskeletal conditions. 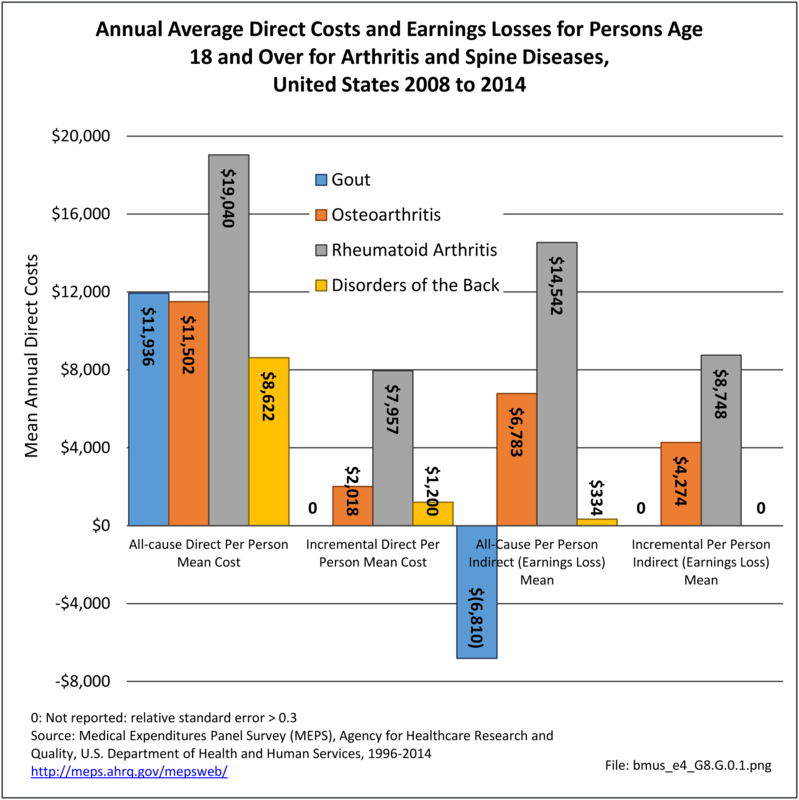 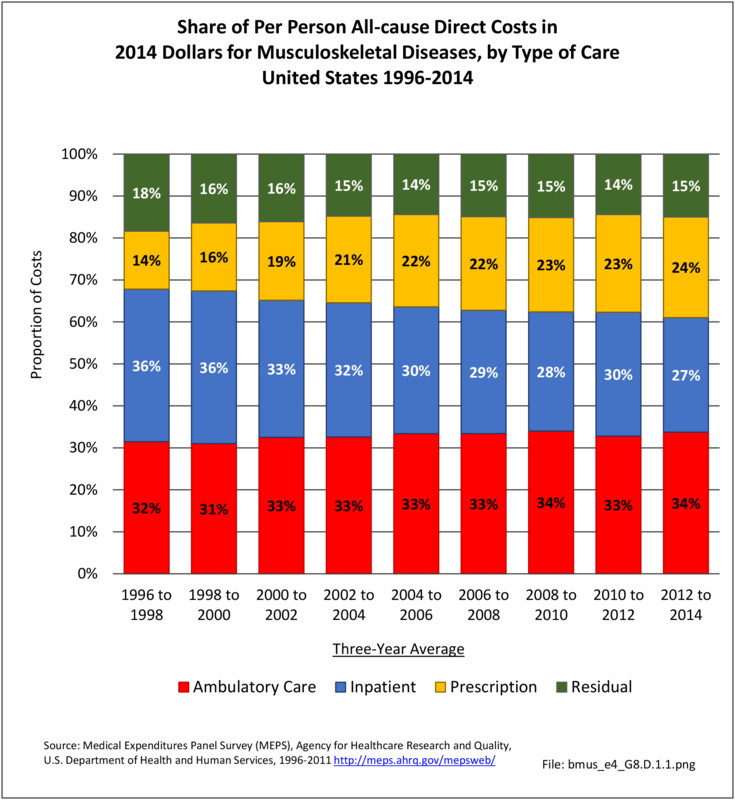 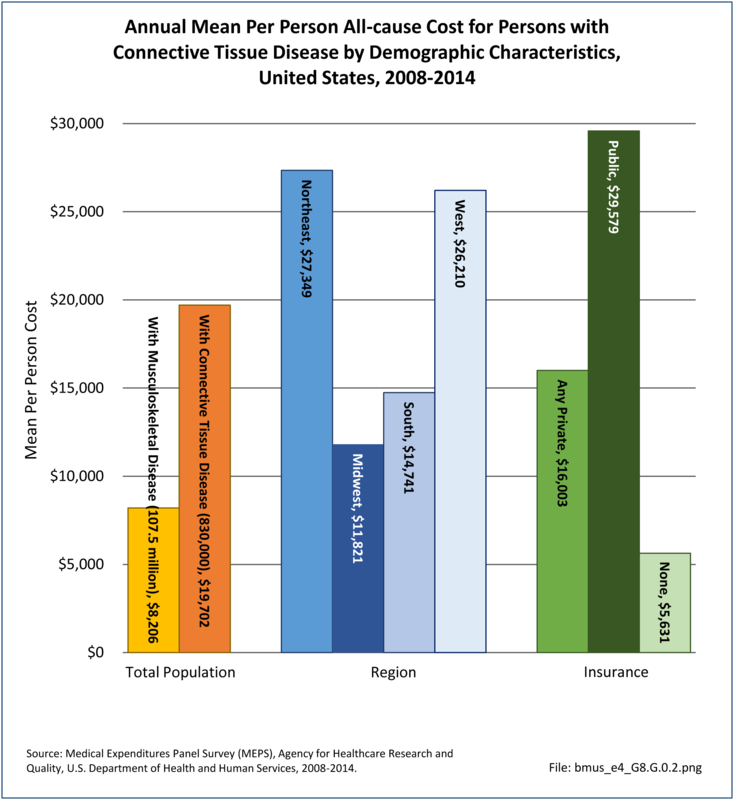 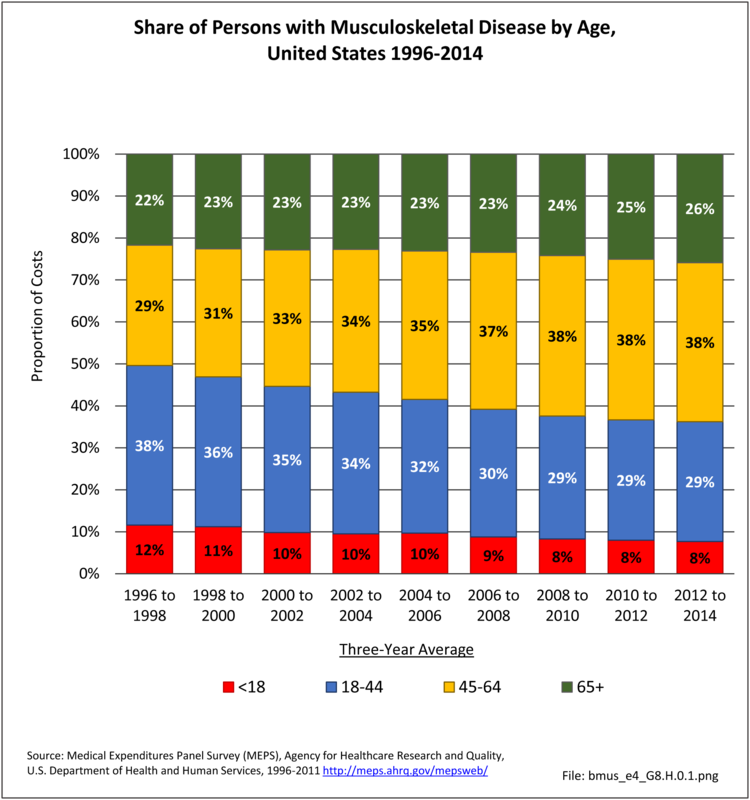 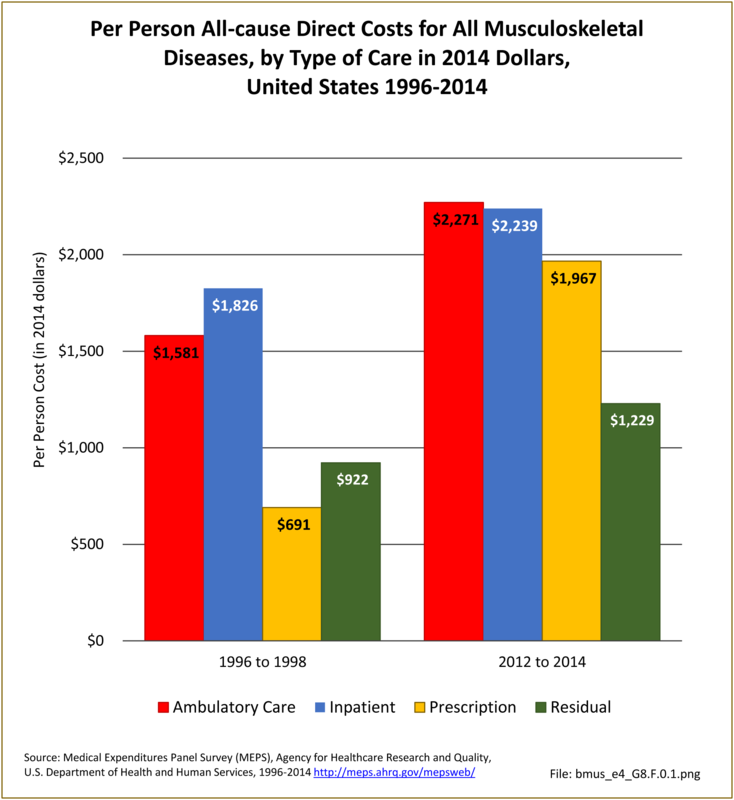 Arthritis and joint pain accounted for a substantial share of growth in healthcare utilization of all types. 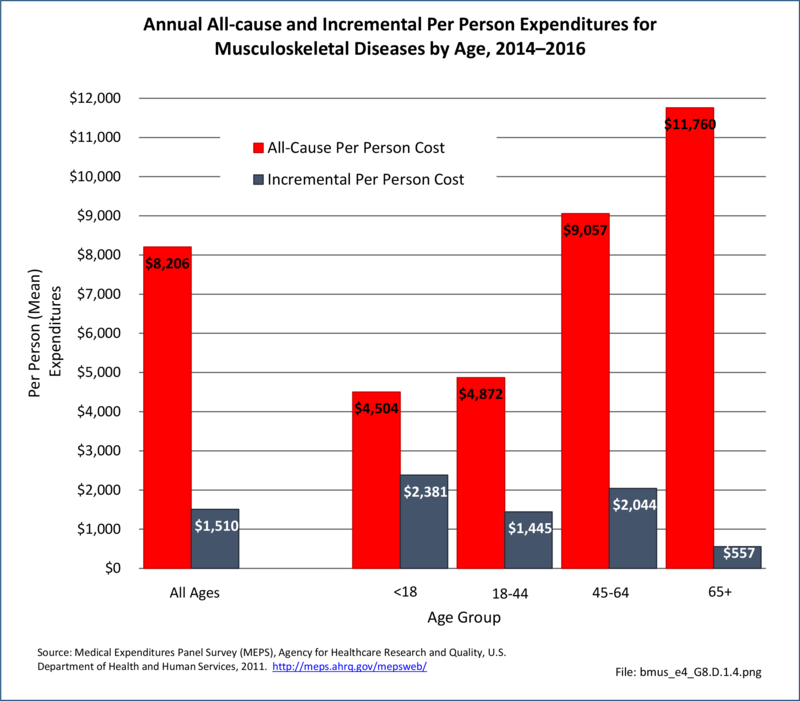 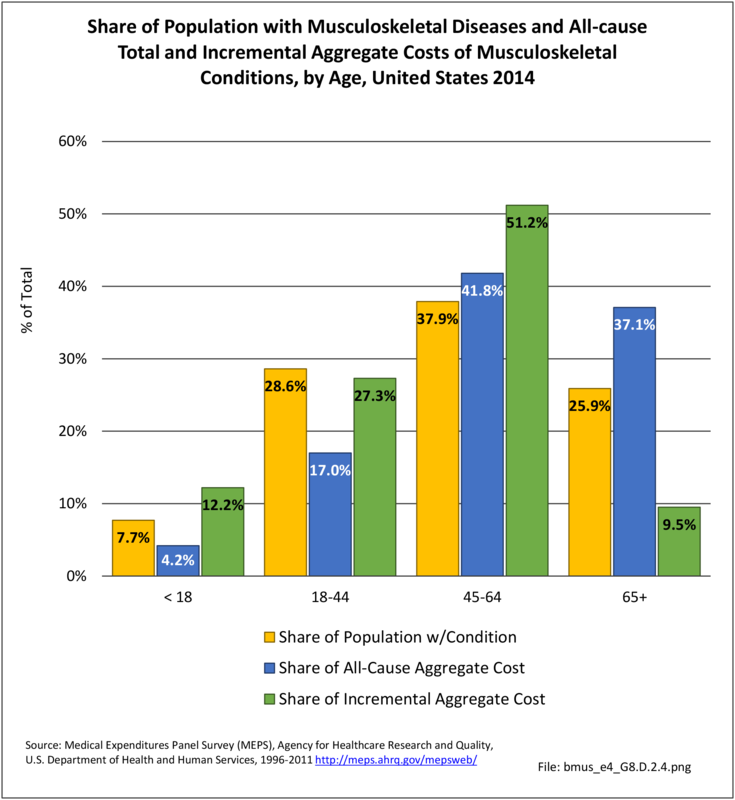 The rate of increase for all sources of health care utilized by persons with arthritis was two to three times the rate increase for all musculoskeletal conditions. 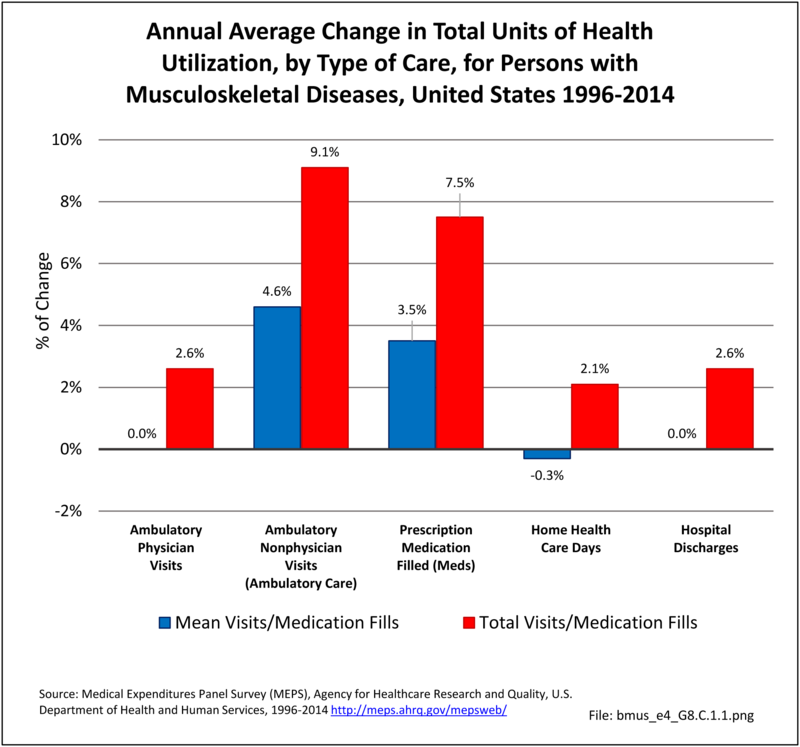 Osteoporosis accounted for much of the limited growth in home health care visits, increasing 133% over the 17-year analysis period compared with a 34% overall increase. 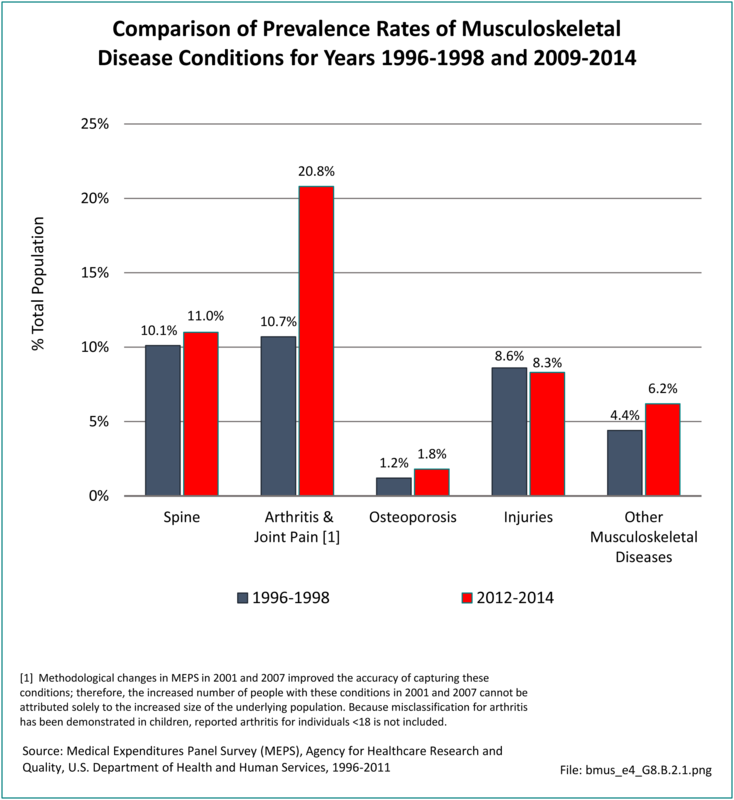 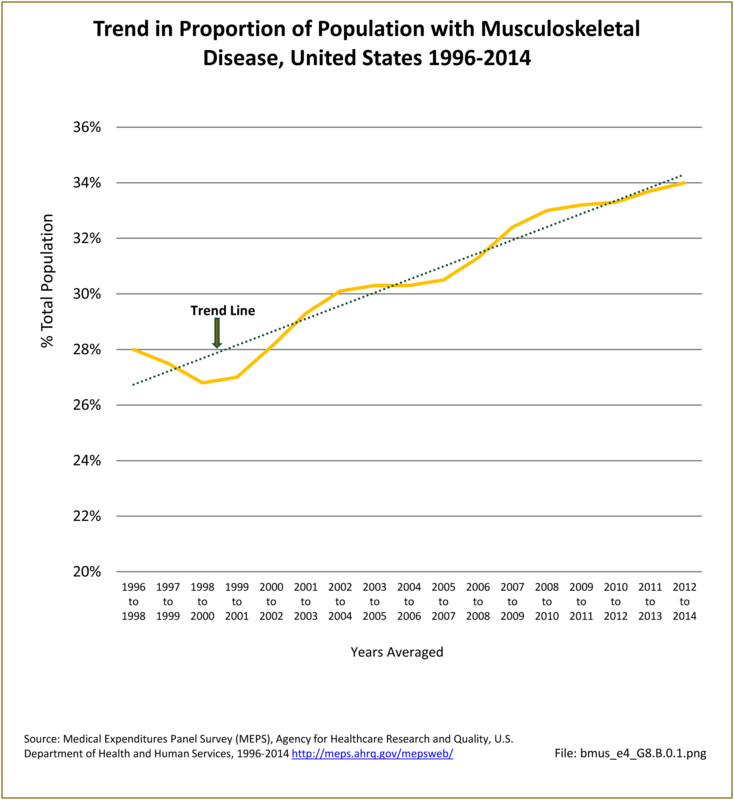 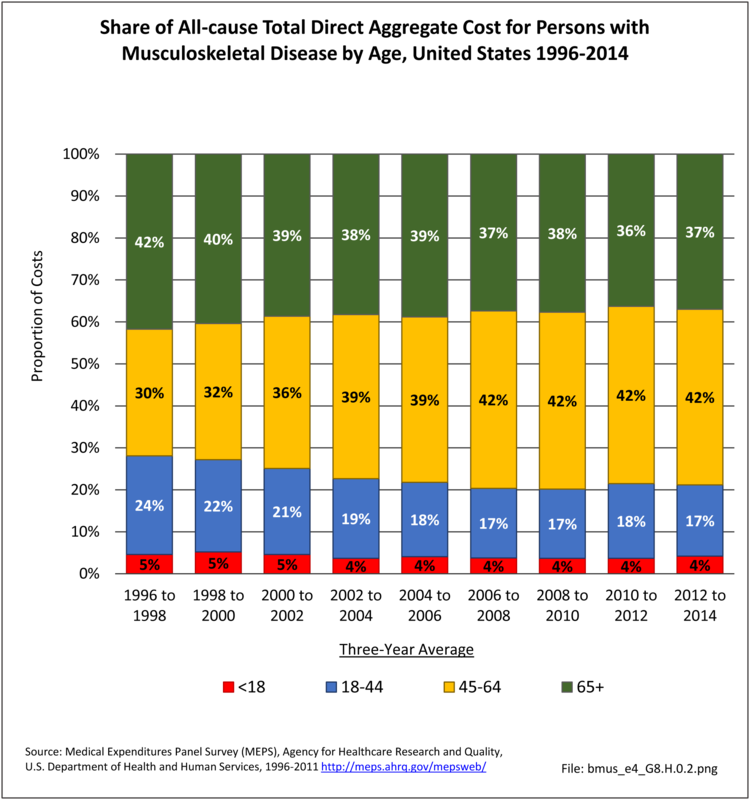 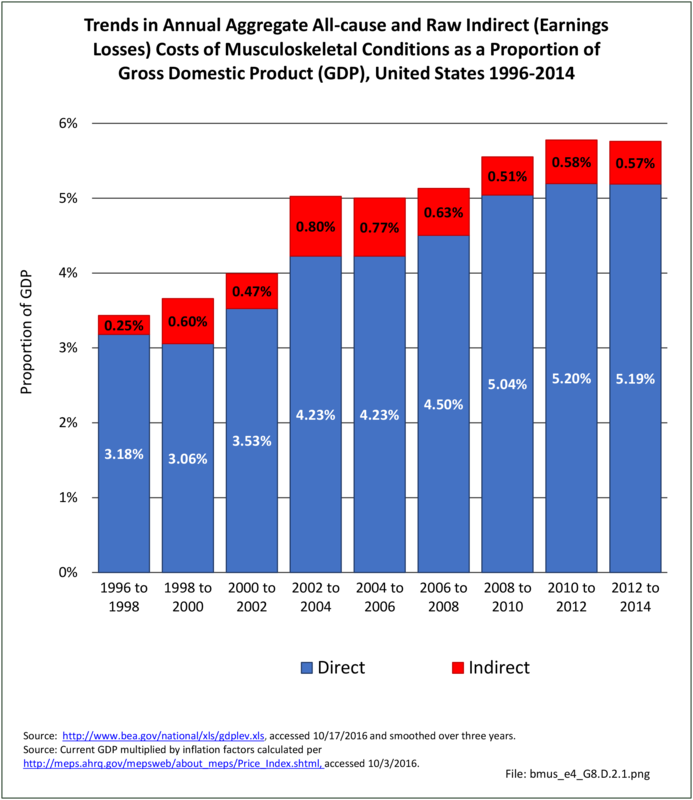 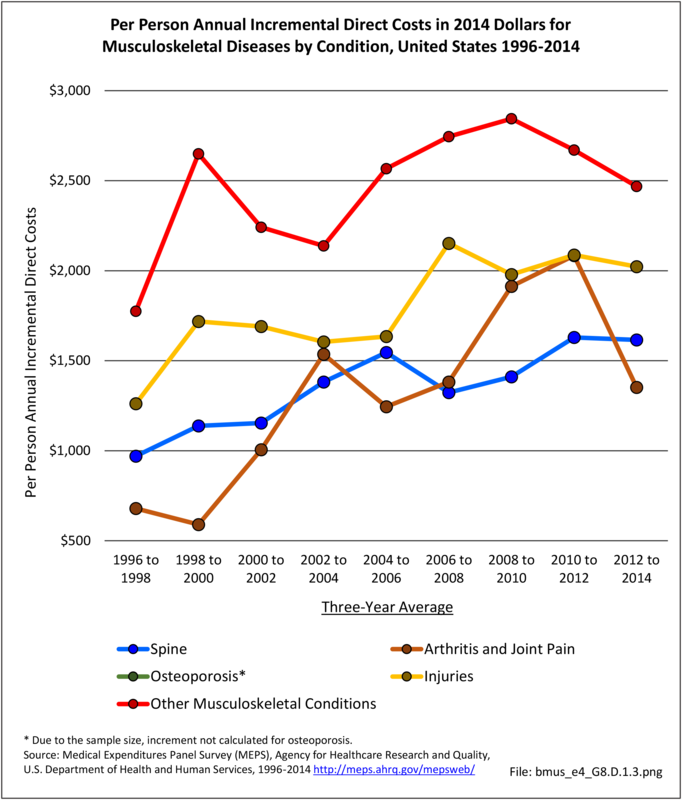 Growth in healthcare visits for injuries was slower than overall musculoskeletal conditions, while healthcare visit growth rates for spine diseases were about even. 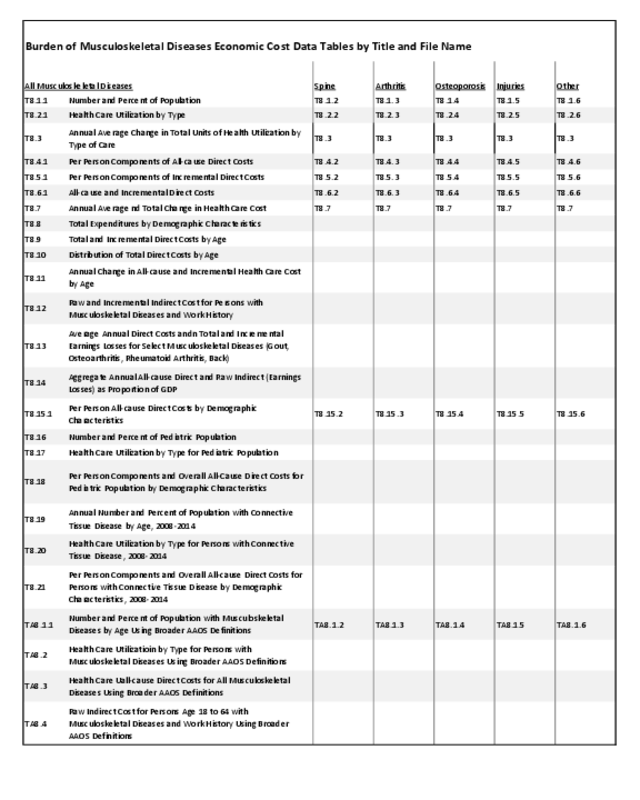 Detailed data related to utilization by condition can be found in specific condition data tables and is also discussed under the condition section. 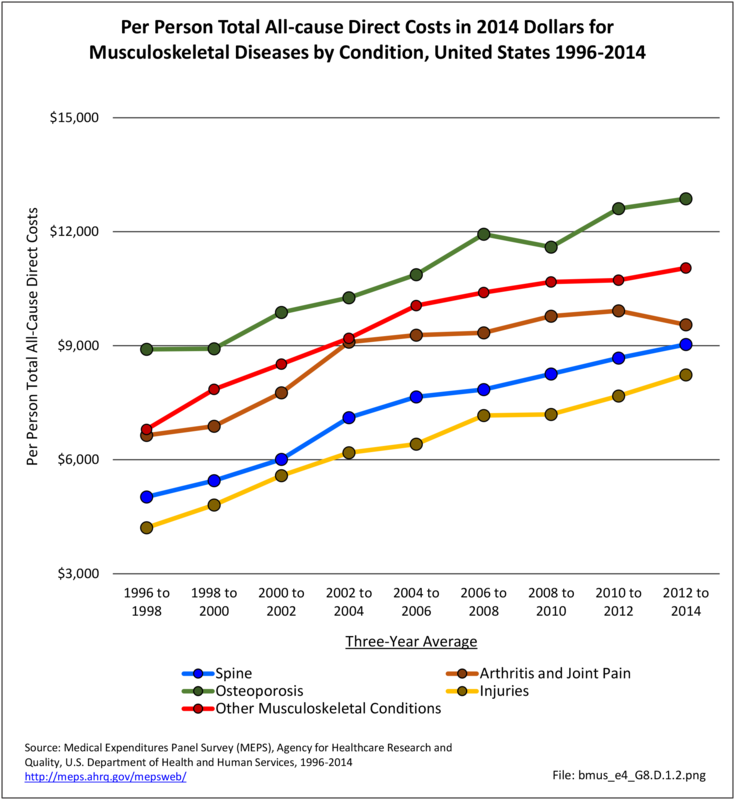 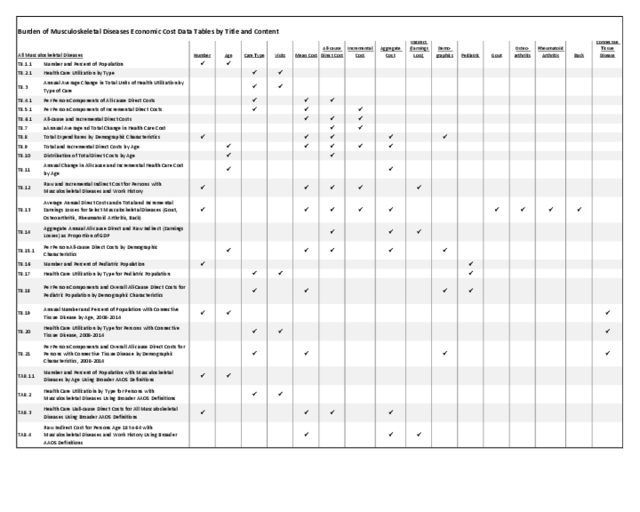 See spine (Reference Table 8.2.2 PDF CSV); arthritis and joint pain (Reference Table 8.2.3 PDF CSV); osteoporosis (Reference Table 8.2.4 PDF CSV); injuries (Reference Table 8.2.5 PDF CSV); other musculoskeletal conditions (Reference Table 8.2.6 PDF CSV); and summary (Reference Table 8.3 PDF CSV).